Within Teamwork Projects, it is possible to hide Teamwork branding for certain areas of your site. 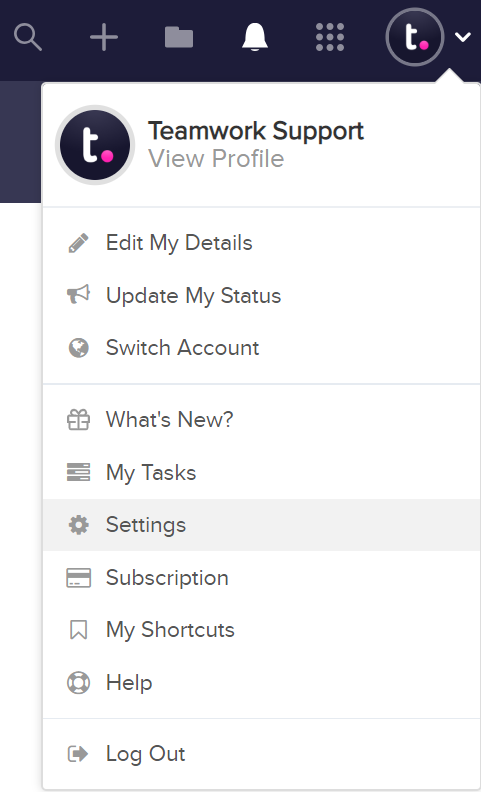 To disable Teamwork branding, click your profile icon to the top right of the navigation bar and select Settings. In the settings area, go to the General tab and scroll to Allow Teamwork Projects brand. Notifications will still be sent from a Teamwork email address. Note: The site owner will always see branding even when branding is disabled.